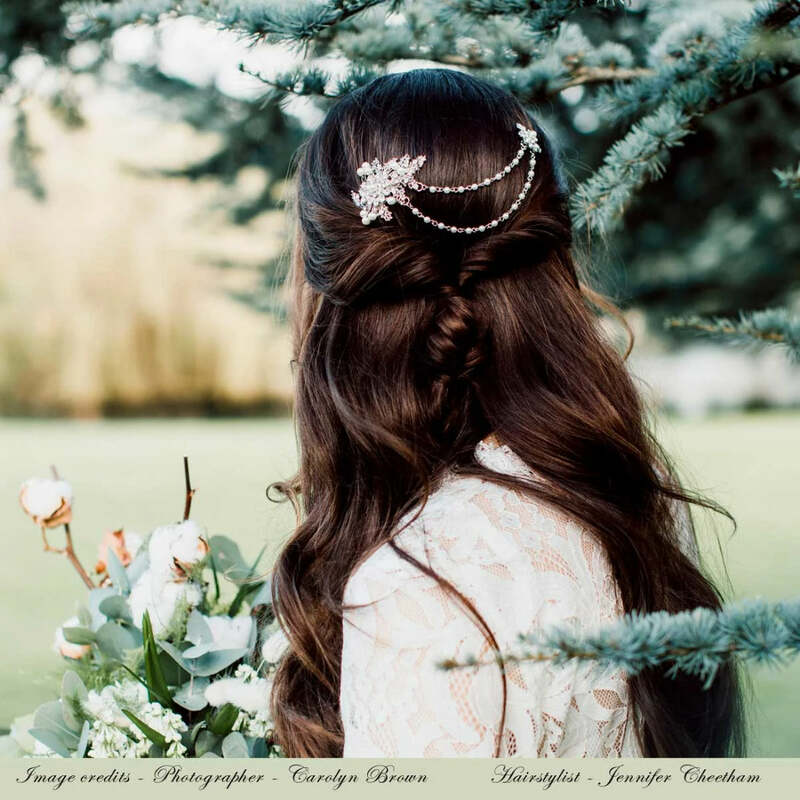 Beautifully romantic, this floral pearl chain bridal headpiece with combs enhances so many wedding day looks. The essence of romance, our Heirloom Bouquet Chain Headpiece effortlessly complements so many bridal hairstyles to absolute perfection. A larger and petite floral adornment are adorned with light ivory faux pearls and shimmering Austrian crystals and are joined by two draping pearl chains. Whether your wedding day style is modern, vintage, boho or Gatsby. 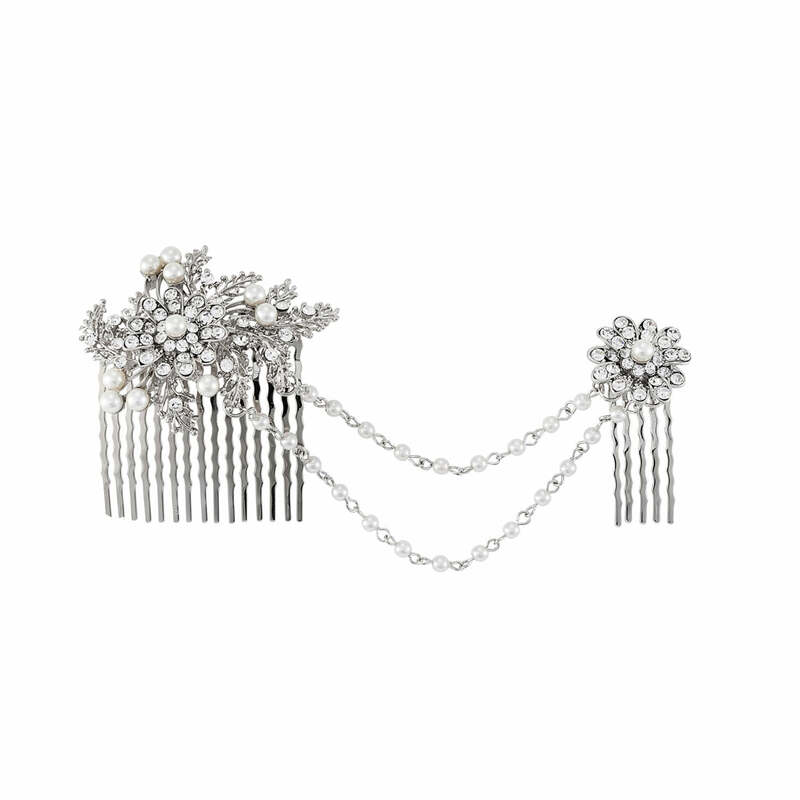 this silver tone chain comb headpiece will enhance your look. With such versatility, the design can be worn at the side of the head or at the back above a chic up-do. The perfect headpiece for brides looking for a wedding hair accessory that makes a statement without taking attention away from their bridal gown, Heirloom Bouquet is exquisite. The draping pearl chains give movement and a softer style ensuring it accentuates a tousled chignon or the chicest of French pleats.